Like a strong-tasting cup of joe, but want more caffeine out of it? Start double brewing your coffee. To paraphrase a big fan of the double brew process on Reddit, it'll make you feel like you can throw an orange at 60 percent the speed of light. It's that strong. Really. 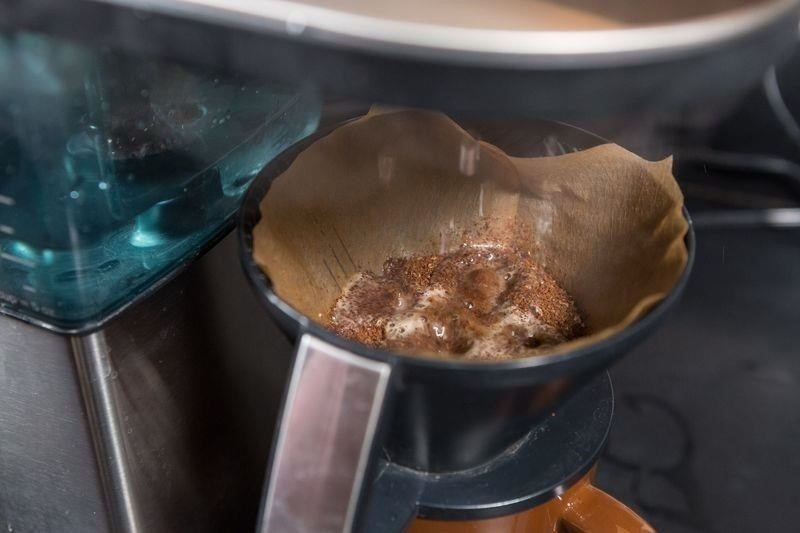 Though it sounds both simple and complex, double brewing your morning coffee doesn't require much beyond its name: just send your coffee through another brew cycle for a double-strong cup of joe. There are actually two ways to achieve the double brew. You can either send your cup of fresh coffee back through your maker, pouring it over a fresh dose of grounds (works best for things like a French press where you don't have to worry about any weird added tastes to future cups of coffee), or double your usual amount of grounds during the first cycle. Does Double-Brewed Coffee Taste Different? No matter which method you choose, it'll produce stronger, more concentrated coffee. However, the flavor of each cup of coffee will vary widely, depending on the preparation method you choose. In fact, it's a method best suited for iced coffee, as the ice dilutes the strong, powerful taste that can result. Don't Miss: Hot vs. Cold Brew: Which Ones Are Better for You? Reheating a cup of coffee changes the flavor, and the longer it sits in a highly heated state, the faster it becomes bitter. Although you may achieve a higher concentration of caffeine, you may not enjoy the sour aftertaste that comes with it, though a little bit of salt could help make it less bitter. 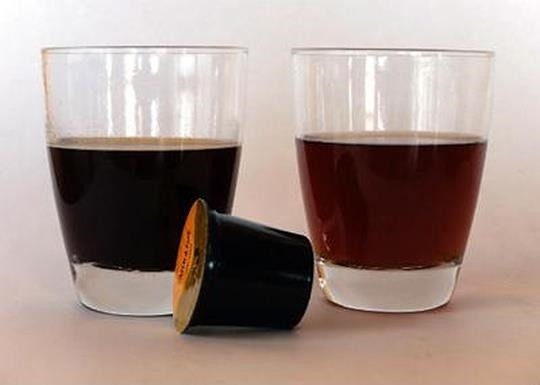 If you have a Kuerig, Starbucks Verismo, or other pod coffeemaker, skip the eight-ounce button and choose the espresso option (or the smallest option available) instead. Just run one cycle with a coffee pod of your choice, then do another cycle with a fresh pod to fill your cup up. Yes, it takes two coffee pods, but if you like double-brewed coffee, it's worth the extra money. And I know what you're thinking—what if you pour a brewed cup of coffee into the water reservoir and run it through another pod? Bad idea. Most single-cup brewers require more water in the tank than is needed for a cup. So if you empty all of the remaining water, then add your brewed cup in, you're likely going to need to add more water in just to get it working. If you wanted to bypass that limitation, you could brew two cups of coffee, empty the reservoir, then dump that in. However, you'll end up with a very scorched cup of joe because of the heating element, not just more caffeine. Additionally, there's the cleaning aspect to keep in mind. Beyond rinsing the reservoir and running the machine a few times to dispense the old coffee in its entirety, you'll need to complete about 10 to 15 brew cycles get your coffeemaker back to normal, or will need to descale the machine with vinegar sooner than you intended. 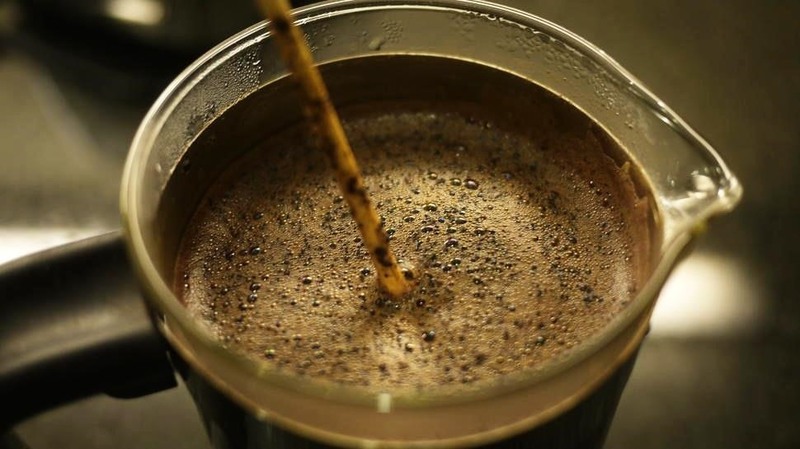 In all honesty, if you don't want to worry about extra cleaning, a burned taste, or any weird flavors in future cups of coffee, just use double the amount of coffee when you brew it, or use something like a French press where you don't have to worry about ruining the next person's cup. You could also just invest in a good percolator, try using a Turkish ibrik, or start buying a finer grind.